There’s always been a great hype around the stock market and the events that influence it, so it’s only natural that most people already have a basic understanding regarding how it works and what the purpose of traders is. However, fewer people know that an important slice of the stock market is taken by day traders, whose mission and status are considerably different than those of regular traders. 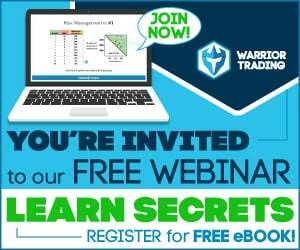 What Is Day Trading and What Does It Entail? For starters, day trading is so different from regular trading simply because it entails that the trader buys and sells a security within the same trading day. The stock market and the Forex (foreign exchange) market typically notice the most day trading activity out of all the markets in the marketplace. Day traders typically operate on a high capital, using their great knowledge of short-term strategies in order to capitalize on very liquid currencies or stocks. Since there is a great level of risk involved in this type of trading, most day traders are typically very educated on how the market works and ultimately earn a living out of it. Those who are not accustomed to the fundamentals of day trading quickly end up losing their investment. To this end, day traders have a great risk capital that they can afford to use either to generate tremendous gains or ultimately to lose if their strategies don’t work. In the US, for example, those who want to day trade for a living need to maintain an account balance of around $25,000. Even though it may seem that day trading has a niche of its own and is generally disconnected from the market, this specific type of trading has two very distinct functions: it provides a considerable part of the market’s liquidities, while at the same time helping the market run properly by means of arbitrage. What Are the Best Books on Day Trading? As mentioned before, day trading is not for everyone and requires a great deal of financial investment, as well as a profound understanding of its fundamentals. This way it’s necessary for everyone wanting to start day trading to read the essential books written on this topic, in order to better understand how it works and discover the appropriate strategies to capitalize on small price movements. The author himself, Andrew Aziz, begins by telling his own trading story, one that can be relatable to many fresh day traders out there. In his very first days of trading, Aziz got lucky with a pharmaceutical product that earned him $6,000 in a matter of minutes. Soon after, he managed to lose it all, since he did not yet have the necessary knowledge to sustain other, more calculated investments. He thus uses his own story as a cautionary tale for those who are just starting out with day trading and who may not yet understand that day trading is more than gambling or a mere hobby, but an actual job that can return considerable dividends. 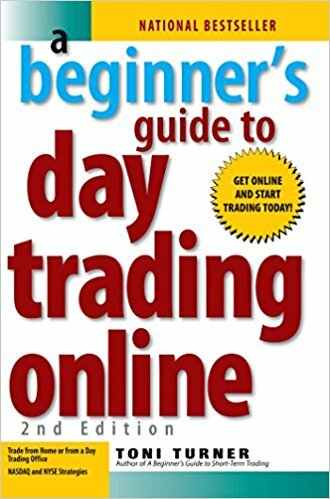 Aziz has a very concise and accessible writing style that makes this book a super helpful and easy-to-follow beginner’s guide to day trading. His candor and willingness to help day traders jump-start their trading careers are actually checked and proven by the many 5-star reviews that claim Aziz’s book to be a reference study in the field of day trading for many years to come. A popular educator in the financial industry, with over fourteen years of experience in the trading field, Toni Turner has compiled a great guide to day trading that offers beginners all the tools they need to better understand the market. She talks about all the available strategies that can be used by beginners, while also tapping into her own experience, depicting how unprofitable her early trading days were – this instills a welcome degree of confidence in many beginner day traders. An added bonus for many of the readers out there is that she understands and highlights the psychological complexity behind day trading. Her simple and unambiguous writing style helps readers avoid many of the most common mistakes out there and points out to certain moves that can be too risky for the attached reward. All in all, this is another great book that you can’t do without if you intend to explore the complexities of day trading. Having actively traded for the past nineteen years, John F. Carter is certainly one who can explain the ins and outs of day trading, in a way that is both efficient and accessible to anyone. Sprinkled with a little humor and in a language that is easy to understand, Carter manages to explain the most common psychological traps people fall into when trading, to highlight how dangerous day trading can be when specific knowledge is lacking and how different markets can be in terms of psychological mechanisms. This book will even provide day traders with ideas and examples of trading plans and insights into the author’s personal trading experience. The best part about this book is that it can be a very useful tool to any trader, regardless of their career level. In the end, Mastering the Trade is a book that, along with the works of Andrew Aziz and Toni Turner, should be a must on any day trader’s nightstand. 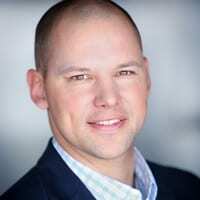 Markus Heitkoetter wrote this book after years of trading that enabled him to give up his corporate job, leave his country and live the American dream in the United States. In his book, he employs the enthusiasm that came with such a major, positive shift in his life to motivate others and let them know that day trading can be really profitable. Apart from this upbeat and bubbly tone, you can sense in his writing, the great part about The Simple Strategy – A Powerful Day Trading Strategy For Trading Futures, Stocks, ETFs and Forex is that it cuts to the point, offering key day trading strategies that work, without getting caught up in the fuss. Although more experienced day traders can also find value in this book, it’s been specially written for beginners, since it’s easy to follow and offers relatively simple strategies, with no extra fluffy knowledge. An experienced day trader, Brian Anderson has been trading for years and has made every possible mistake there is. This is why he’s using the opportunity to share the knowledge and prevent other day traders from following his misguided steps. Anderson actually uses the varied day trading theories on the market to prove how bewildering it can be to absorb as much information as possible, in hope of expanding one’s portfolio. Contrary to other experienced traders out there, he vouches for the power of simplicity and offers equally simplistic trading methods that help traders unclutter their minds and stay focused. The book is succinct and pretty easy to read, even on a Sunday morning, alongside a cup of coffee. Many reviewers claim that Anderson’s on-point approach has steered them in the right direction over the years, bringing them the profitability every trader is ultimately looking for in their career. The author, Michael Sincere, drops the complicated technical jargon for this book, making it accessible for anyone looking to delve deeper into the mystery of day trading. From this point of view, it’s the ultimate book for someone who knows absolutely nothing about day trading and needs a step-by-step guide to understanding how this works. In this book, Sincere talks about everything from risk management to multiple day trading strategies. He even gives a few pointers on how to set up your trading account, how to choose a broker and what equipment you’ll need if you want to be good at day trading. One of Sincere’s most highlighted tips for day traders is the importance of regulating your emotions and money when trading. As an added perk, the book also includes top tip advice from professional traders in the form of interviews. With an experience of over six years in day trading, Ross Cameron has written this beginner’s guide in hope of helping those interested in day trading better understand how it works. The book teaches the technical jargon of the business – an otherwise discouraging aspect for many beginners, when to get out of your trades and when to reap profits during a bull run. Readers will also be delighted to find out how to determine buy-in points and will have important tools at their disposal, such as Bollinger bands, StochRSI and MACD. The book also teaches how to read charts, patterns, and trends, while not confusing with redundant information. Reviewers are happiest about the concise and sharp manner in which the book was written, allowing them to understand the essentials of the business without feeling too overwhelmed or confused. Another great beginner’s guide to understanding how day trading works is Branden Lee’s Day Trading Strategies: Beginner’s Guide to Tools, Tactics, Psychology, and Setup patterns. The book concisely addressed elementary and important day trading topics, among which how this business works, what personality traits you need to have to be a successful trader and how to effectively manage risk. Lee also gives advice on how beginners can create their own strategy, while also detailing on famous strategies such as reversal trading, moving average trend, candlestick strategy, and ABCD pattern. By and large, this is a great and brief introduction to day trading that any beginner can benefit from. 31-year old Noah Bennett has almost a decade of trading experience, having dabbled in everything from penny stocks to the foreign exchange market. Bennett uses his own experience and knowledge to teach others the basics of day trading, while also steering them away from classic mistakes. For example, one of the mistakes he talks about is chasing a stock in the belief that it will certainly become a safe and sure investment at some point when on the contrary its value might be on its way to consolidation or may be headed for a price reversal. As readers themselves have put it, the book contains sufficient enough information for any beginner day trader to better understand how the market works and what the best strategies are. The book might not be just as suited for more experienced day traders. As any other business, day trading cannot be done without a few essential works that will give you all the information you need to become a successful day trader. Depending on your level on day trading, the list above provides you with any book you may need to find out more on this fascinating and complex business, so you can ultimately become profitable and make a living out of it.